The Hungary men's national water polo team represents Hungary in international men's water polo competitions and is controlled by the Hungarian Water Polo Association. They are considered the world's top power in the history of water polo, having won 15 Olympic, 11 World Championship,  10 FINA World Cup , 8 FINA World League, 24 European Championship and 16 Summer Universiade medals in total of 84. Hungary is a country in Central Europe. Spanning 93,030 square kilometres (35,920 sq mi) in the Carpathian Basin, it borders Slovakia to the north, Ukraine to the northeast, Austria to the northwest, Romania to the east, Serbia to the south, Croatia to the southwest, and Slovenia to the west. With about 10 million inhabitants, Hungary is a medium-sized member state of the European Union. The official language is Hungarian, which is the most widely spoken Uralic language in the world. Hungary's capital and largest city is Budapest. Other major urban areas include Debrecen, Szeged, Miskolc, Pécs and Győr. The FINA Water Polo World League is an international water polo league organized by FINA, which plays annually, typically from winter through to June. League play features continental tournaments for men and women, from which the top teams emerge to play in the championship tournament where the league champion team is crowned. Men's league play began in 2002, to capitalize on increased worldwide popularity of water polo created by the 2000 Olympic Games, especially in Europe, North America and Australia. The women’s league was added in 2004, based on growing interest in women's play. The 2018 Men's European Water Polo Championship was held in Barcelona, Spain from 16 to 28 July 2018. Tamás Kásás (Hungarian pronunciation: [ˈtɒmaːʃ ˈkaːʃaːʃ]; born July 20, 1976 in Budapest is a retired Hungarian water polo player, with a height of 200 cm and a weight of 90 kg. Sport in Serbia plays an important role, and the country has a strong sporting history. The most popular sports in Serbia are football, basketball, tennis, volleyball, water polo and handball. The Croatia men's national water polo team represents Croatia in international water polo competitions and friendly matches. 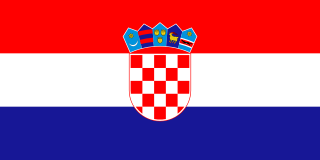 It is governed by the Croatian Water Polo Federation. Dénes Kemény is a former Hungarian water polo player who was the trainer and president of the Hungarian National Men Water Polo Team from 1997 to 2012. During his reign the Hungarian team won at least a medal in 24 of its 29 major tournaments, including three Olympic golds in a row between 2000 and 2008. Slobodan Soro is a Serbian-born Brazilian water polo goalkeeper. The 2012 Men's European Water Polo Championship took place at the Pieter van den Hoogenband Swim Stadium in Eindhoven, the Netherlands, from 16 to 29 January 2012. Slobodan Nikić is a Serbian professional water polo player. He is currently playing for Orvosegyetem SC and he is a long-standing member of the Serbia men's national water polo team. His most notable achievements with the national team are the gold medal from the Olympic Games in 2016, silver from the Olympic Games in 2004 and bronze from the Olympic Games 2012, three gold medals from the World Championships in 2005, 2009 and 2015, and five gold medals from the European Championships in 2003, 2006, 2012, 2014, and finally in 2016. He is one of the most decorated players in the history of water polo, and the only water polo player in the world to have won 3 FINA World Championship gold medals, an all-time record as of 2018. In his club career, his most important achievements are the LEN Euroleague and the LEN Supercup won in 2010 with Pro Recco. Zoe Arancini is an Australian club water polo player who plays driver, counter-attacker, or outside shooter. Several of her family members have represented her country in water polo. She plays club water polo in the National Water Polo League for the Fremantle Marlins, where she has won the league championship in 2005, 2007 and 2008 and is coached by her mother. She has represented the country as a member of the Australia women's national water polo team on the junior and senior level, with over eighty appearances for national team between the two levels. She has earned a gold medal at the 2011 Canada Cup, silver medals at the 2010 FINA World League Super Finals and 2010 FINA World Cup, and bronze medals at the 2009 FINA World League Super Finals and 2011 FINA Junior World Championships. She has been included on the roster to represent the country at the 2012 Summer Olympics. Bronwen Knox is an Australian water polo centre back/centre forward. She attended Hartwick College and Griffith University, earning a Bachelor of Biomedical Science, and works as a laboratory assistant. She started playing water polo when she was fourteen. She played for the National Water Polo League's Queensland Breakers before switching to the Victorian Tigers for the 2012 season. In 2013–14 season she played for the Greek powerhouse Olympiacos in the European competitions, winning the LEN Trophy. Anna Espar Llaquet is a Spanish female water polo player who won the gold medal at the 2013 FINA World Championships. Márton György Vámos is a water polo player of Hungary. He was part of the Hungarian team at the 2015 World Aquatics Championships. Water polo in Australia is governed by the Australian Water Polo and its state based Water polo associations. 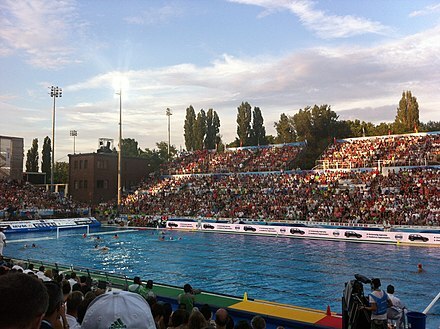 The Hungarian Water Polo Federation is the governing body of water polo in the Hungary. It was founded in 1989, and is the successor to the Magyar Úszó Szövettség, with the swimmers. ↑ "Team Roster" (PDF). wp2018bcn.microplustiming.com. 16 July 2018.